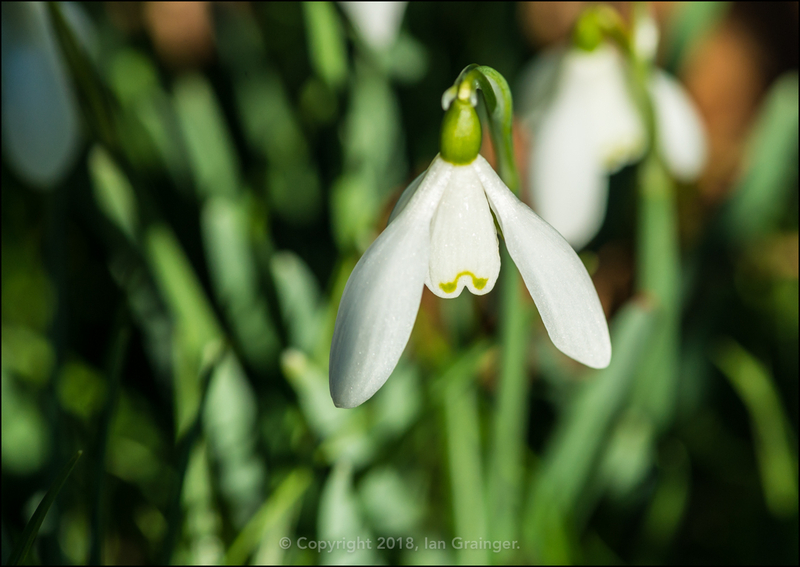 It was a cold crisp cloudless blue skied morning for my photo shoot this weekend, and it really did feel like Spring was in the air. 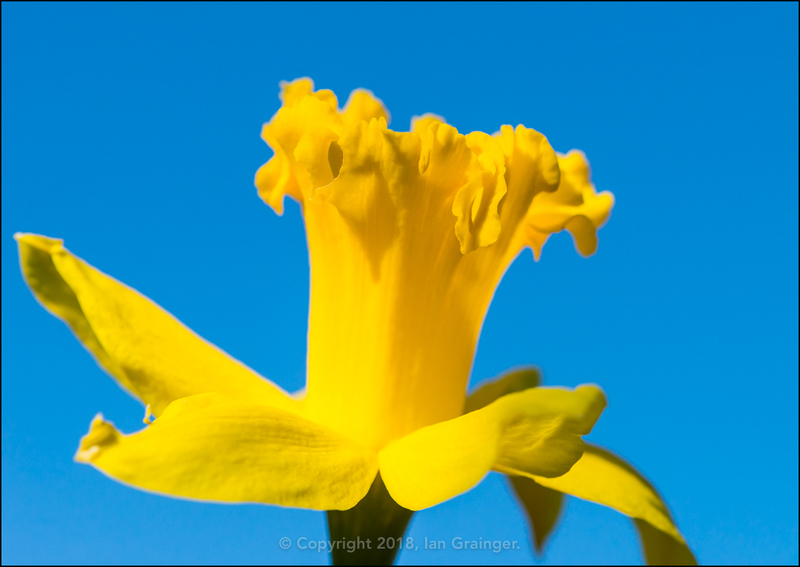 Many would say that Springtime has truly arrived when the first Daffodil (Narcissus) opens, and here it was. 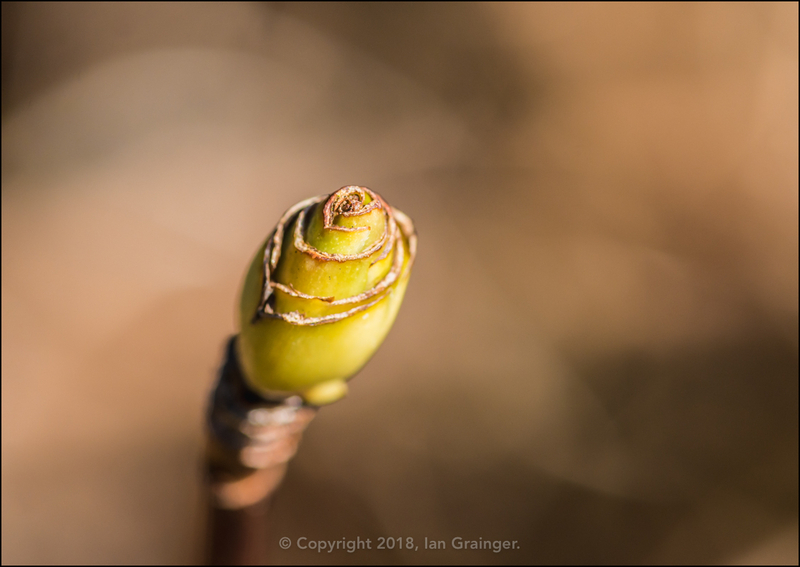 It had been in bud for a while, but here was the first one to open up in dad's garden, and it was worth the wait, especially when viewed against that beautiful blue sky. 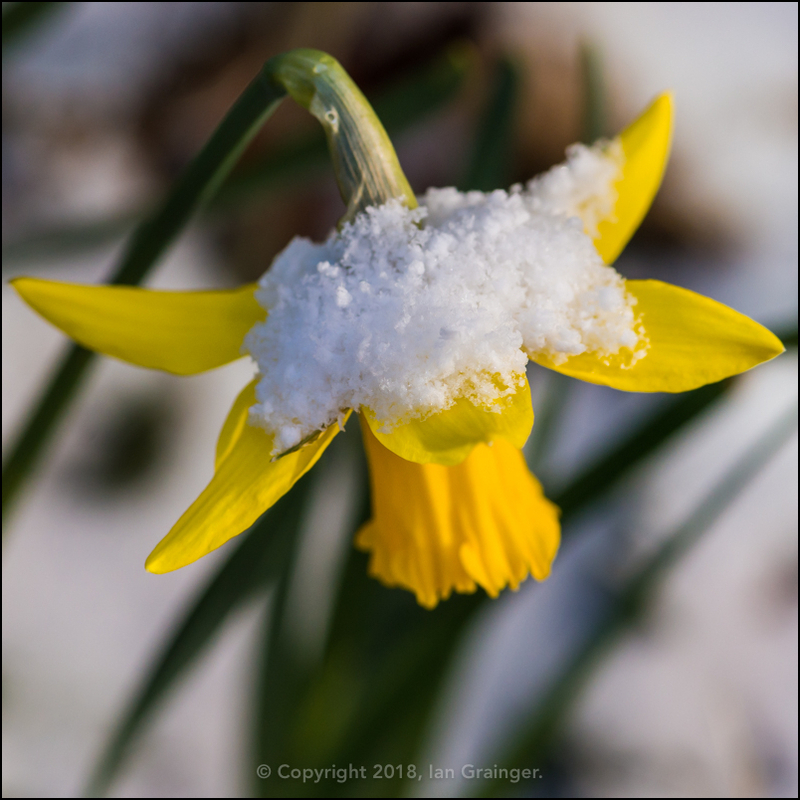 It wasn't just the Daffodils that were eager for Springtime to start. 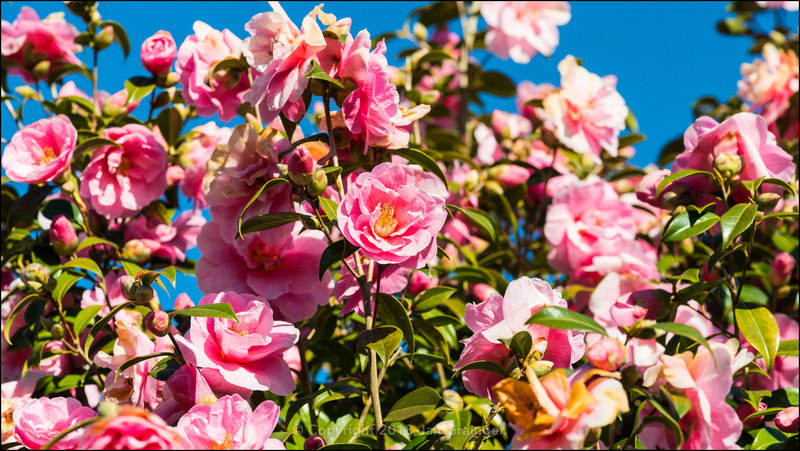 The Camellia bush had decided it was time to open up the majority of her blooms, and was looking quite spectacular. 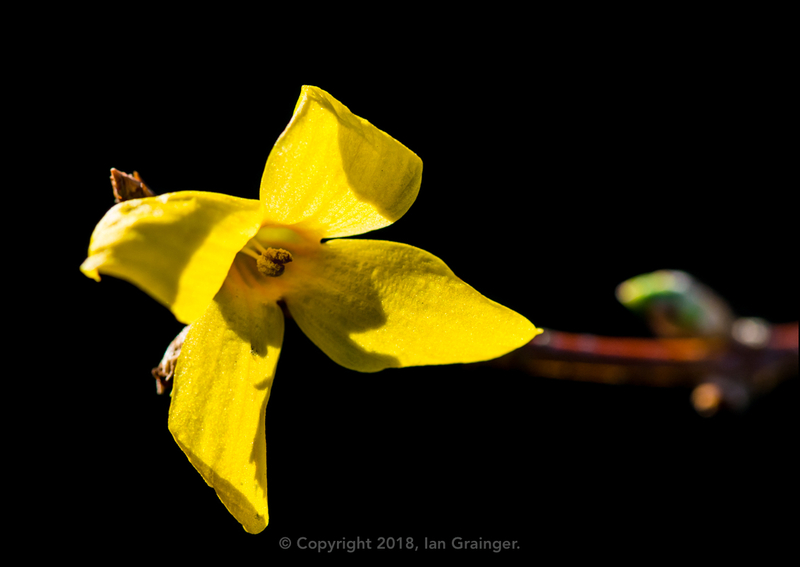 ...and there were more and more blooms appearing on the Forsythia (Forsythia intermedia) bush. 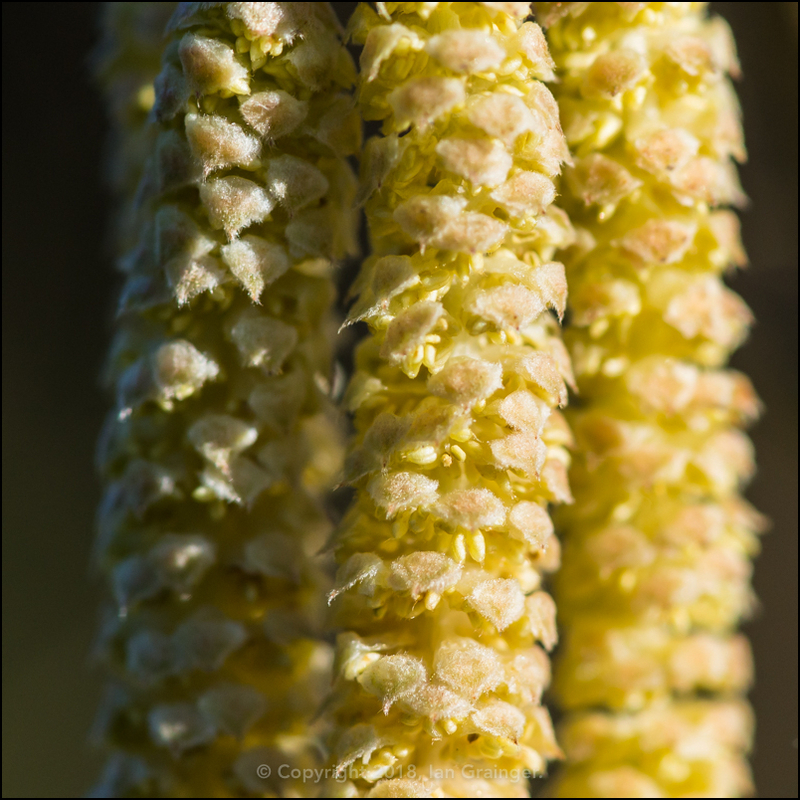 The first few Catkins of the Twisted Hazel Tree (Corylus avellana Contorta) were even beginning to open, and getting ready for pollination. 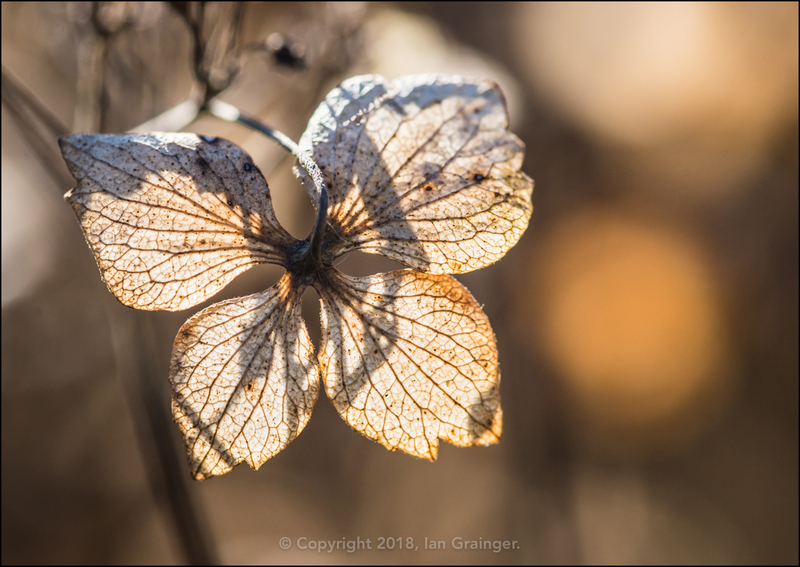 ...and the Climbing Hydrangea (Hydrangea anomala) bush. 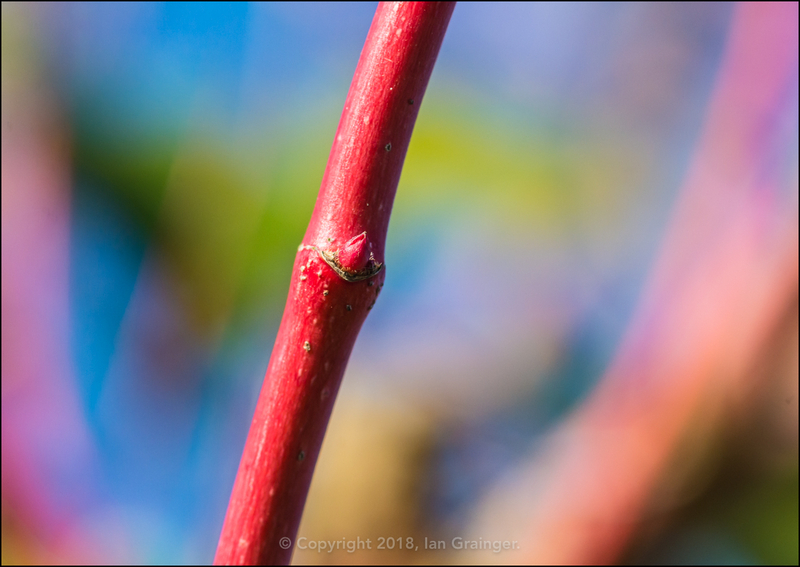 ...and the Climbing Rose (Rosa) was starting to get a little colour back into its branches. 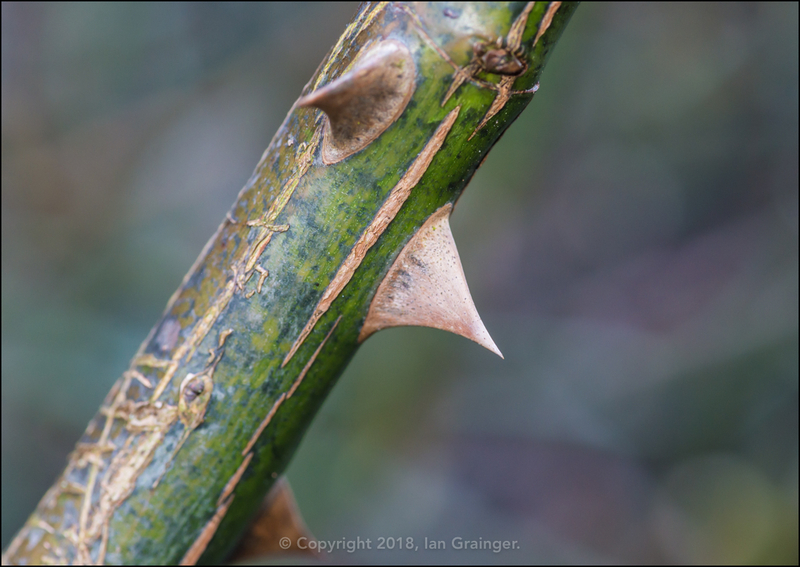 Another definitive sign that Spring was on the way was the old Lacecap Hydrangea (Hydrangea macrophylla) bush bracts were decaying quickly. 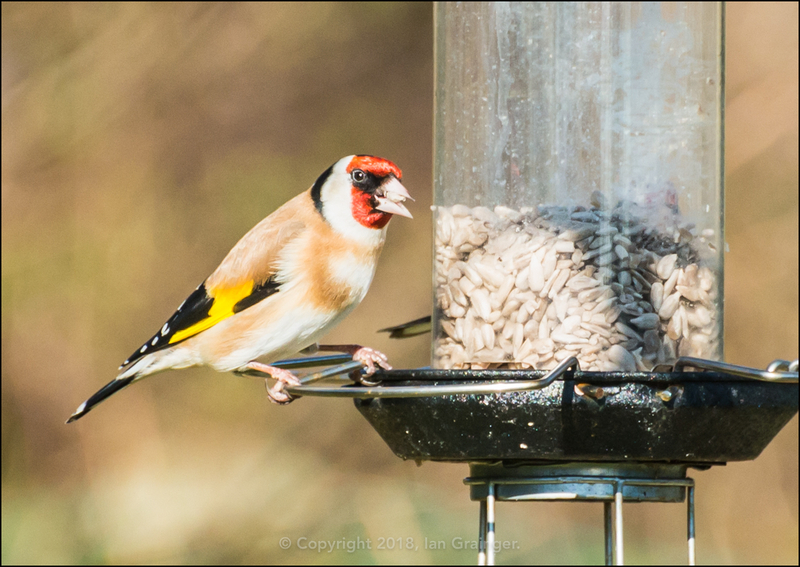 Turning my lens towards the Avian community, I was pleased to finally get a close-up shot of a Goldfinch (Carduelis carduelis), albeit grazing from a neighbouring garden's bird feeder. 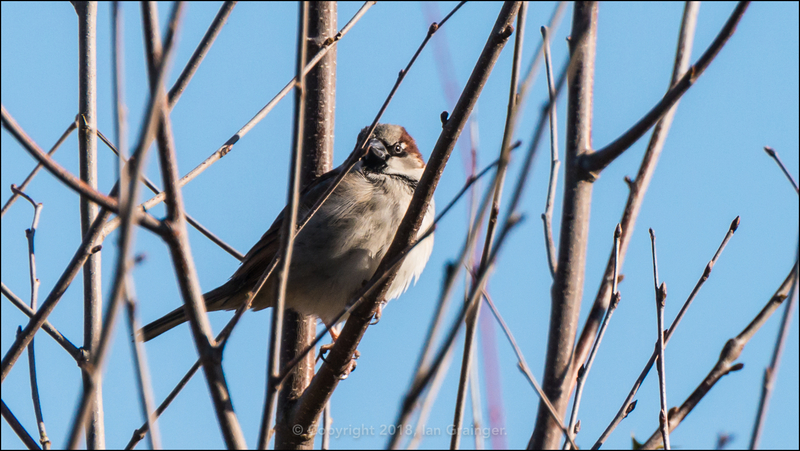 I also managed to sneak up on this House Sparrow (Passer domesticus) as it chirped away in the branches of a tree, and got another close-up of a small bird. 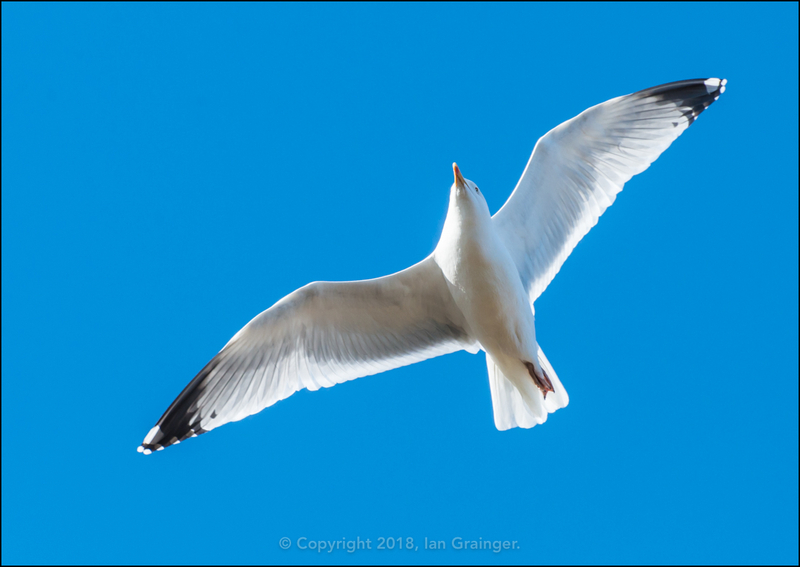 I didn't have to move far to grab a shot of this Herring Gull (Larus argentatus) as it swept past my lens once every ten seconds or so as it looked for some food in the gardens below. 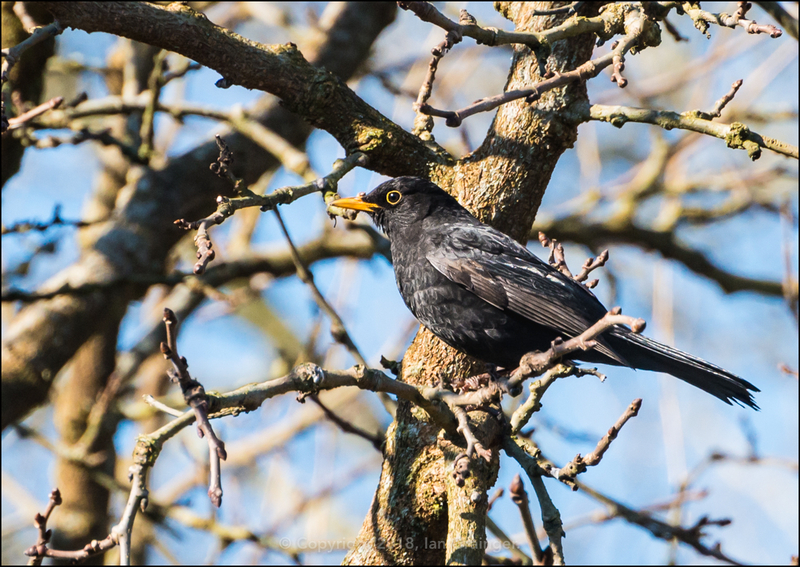 The final sure fire sign that Spring was on the verge of appearing was that the Blackbirds (Turdus merula) looked like they were on the lookout for mates. This male was chasing multiple females from treetop to treetop, and squabbling with any other male it ran into. So, it was definite then. 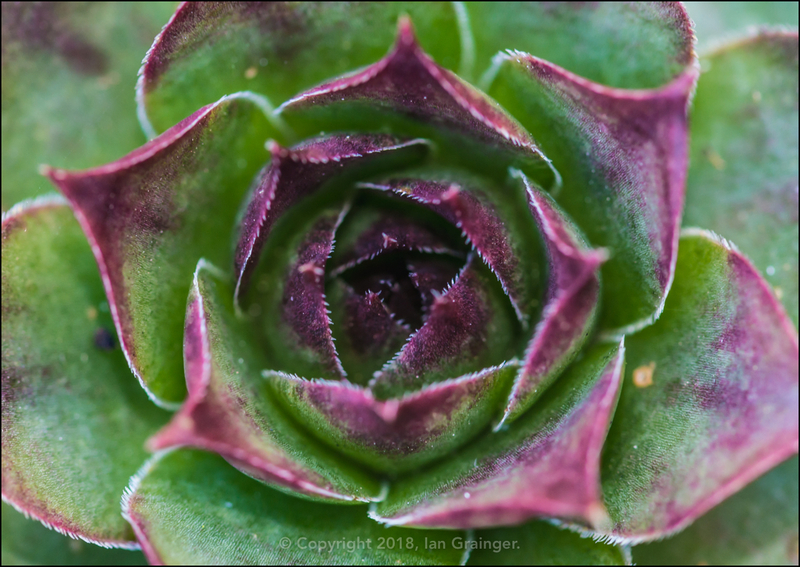 Spring was almost officially here. Err, hang on, scratch everything I just said above! 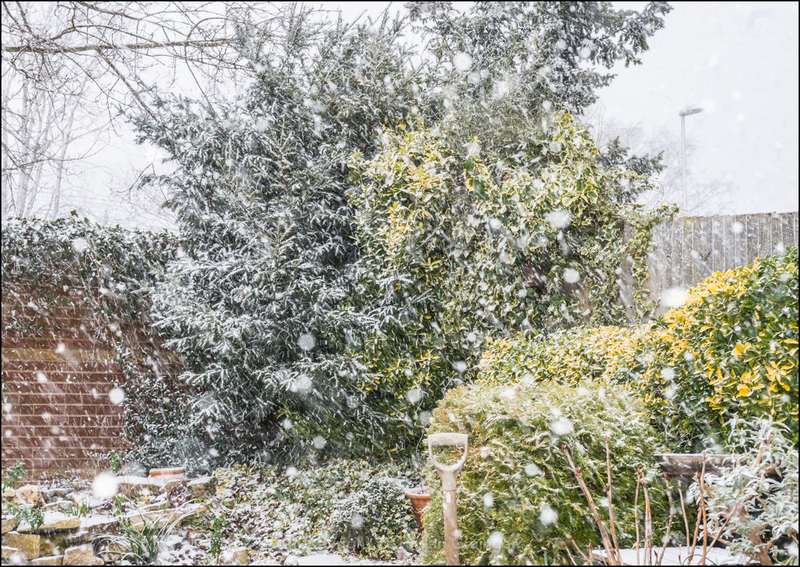 Two days later and it was back to Winter again, with snow falling across the majority of the country. 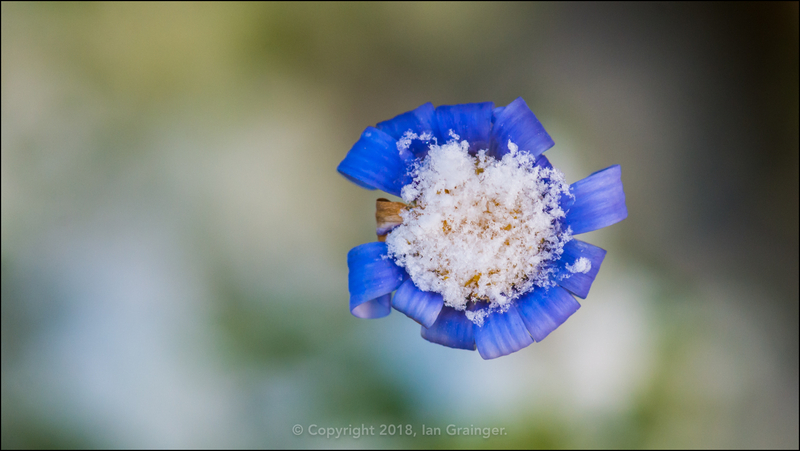 ...and the Blue Marguerite (Felicia amelloides) blooms weren't faring much better. Finally, onto warmer environments, and my tropical fish. 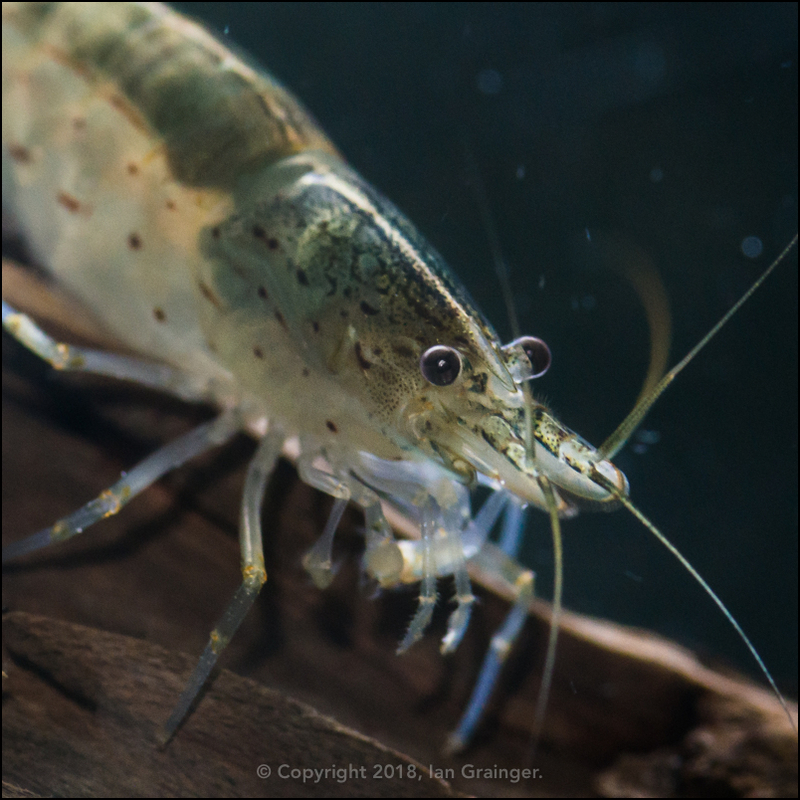 Here's a shot of one of the Amano Shrimp (Caridina multidentata) that does a sterling job of keeping my 55g aquarium nice and clean.